How do you do what you do, when you no longer are what you are? Dolah doesn’t know. And who is around to help him? A foreigner explores London’s landscape when a mythical warrior takes him on a wider journey in search of who he is and what he is and, ultimately, how he might make sense of it all. 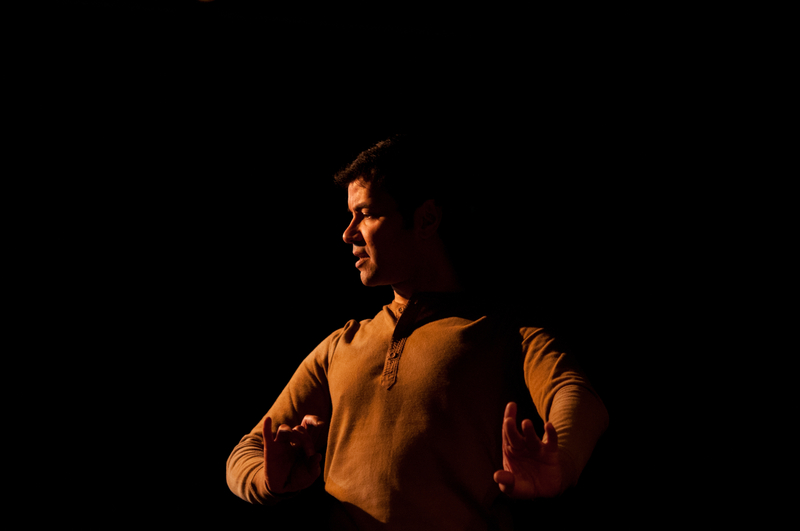 Jamie Zubairi creates a dreamlike world in which he plays multiple characters in this comic physical theatre piece using live painting, poetry, spoken-word, theatre and dance. 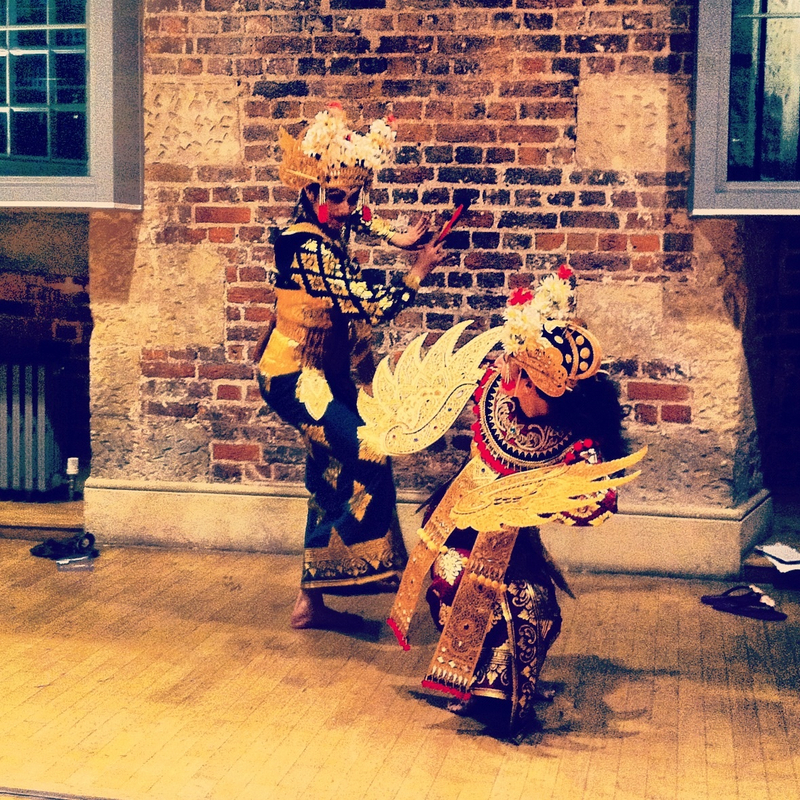 Unbroken Line is a solo performance devised by Jamie Zubairi and Kath Burlinson, with Balinese choreography by Ní Madé Pujawati, movement direction by Mina Aidoo and original score by Steven Berryman, fusing spoken word theatre, live painting, and Balinese dance. 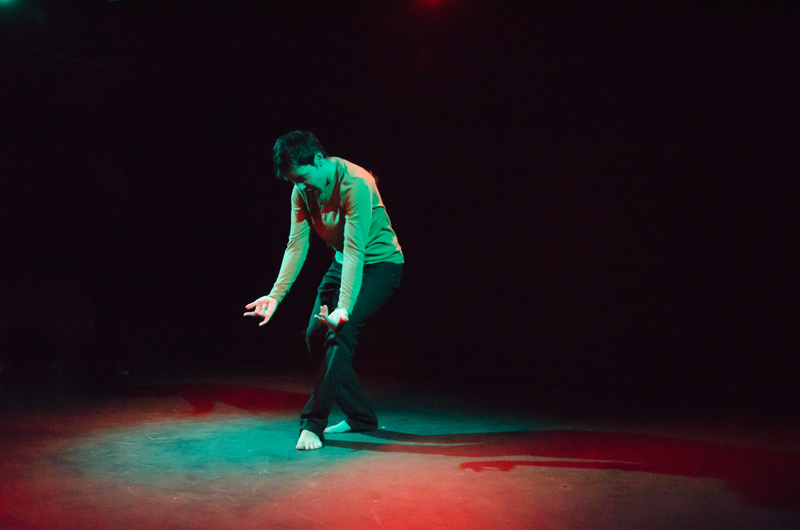 It will be performed at OvalHouse between the 4th and 15th of December. Click on the OvalHouse link for tickets and times. Unbroken Line is about Dolah, a Malaysian immigrant who has been living and working in London as an accountant for the past 10 years. After being made redundant he hasn’t only lost his job but also his identity. Upon meeting a mythical warrior he goes on a journey in search of who he really is. 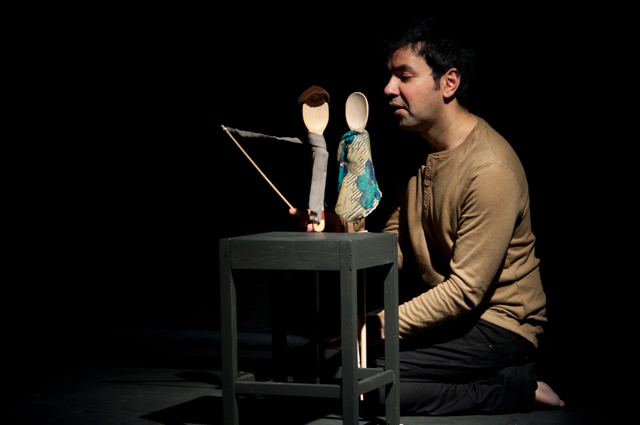 Jamie Zubairi uses his ‘Skylarking’ method to create and tell stories. 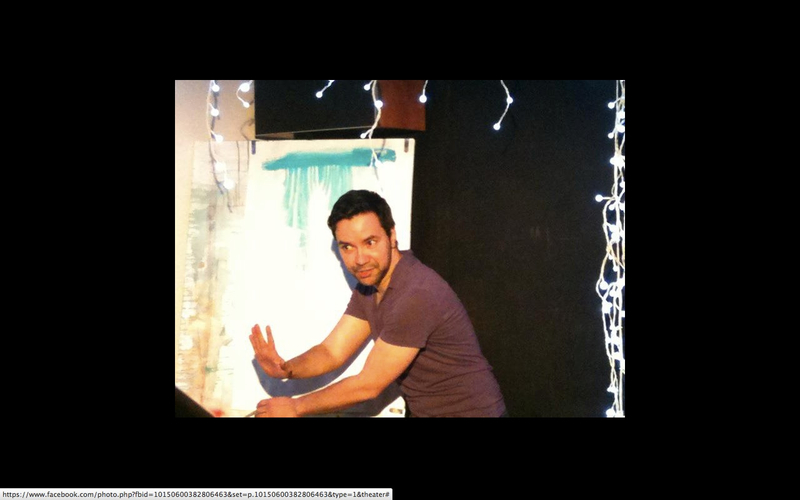 Unbroken Line which was borne from several extended explorations of themes and makes use of Jamie’s experience as theatre actor, comedian, and painter to present the story of Dolah and the journey he makes to discover himself. I would like to thank Philippe Cherbonnier for his dramaturgical help and Elinor Tolfree for her vast knowledge of Gamelan music, Paul Oertel and Nancy Spanier for their support in the engendering of this from a process at Paul’s workshop ‘The Discipline of Freedom” in 2009 and 2011. I would like to thank (in alphabetical order): Charlotte Allam, Carl Allott, Rachel Amey, Salahin Amri Amiruddin, Rasidin Amri, Anon, Karen Ascoe & David Upton, Tahera Baggia, Cate Brick, Suze Cameron, David Francis & Mairi Campbell, Paul Y Chan, Debbie Chazen, Kwai Chi, Vera Chok, Janet Combe, Krystle Cook, Laura Crichton, Jason Dean, Joshua Egirani, Paul Graves, Tamsin Haggis, Sabrina Hassan, Janet Hess, Max Hoff, Nigel Hollidge, Brendan Riding & Allison Hope, Renate Horn, Catherine Horrocks, Paul Hyu, Jennifer Irons, Les Irvin, Will Jennings, David Lee Jones, Sioned Jones, Alex Kelly, Stephanie Kelton, Zoie Kennedy & Des O’Connor, Ellis Kerhoven, Titania Krimpas, Anne Kyle, Angeline Lau, Michelle Lee, Kwong Loke, Alice Mackenzie, Natalie Mackeown, Daniel Mandel, Catherine McKay, Nicola Morris, Lawrence Munro, Angeline Lau, Erica Lowe, Jennifer Lunn, Nuala O’Sullivan, Eleanor Peter, Jamie Pourier, Brendan Riding & Allison Hope, Andrea Robinson, Zowee Smith, Rachel Smith-Rawnsley, Balvinder Sopal, Bob Stein, Jack Tanner & Joanna Reed, Elisa Terren, Jacky Walls, Paul Williams & Matthew Clark, Meimango Wood, Jay Yip, Will Yong, Linda Zeilina, Adam Zubairi, Linda Zubairi, Syed Zulkifli and of course my mum and dad Hassan and Gillian Zubairi. This play would not be possible without your support! And a clip giving a flavour of what the show might be like. I have successfully reached target for my WeFund with the help of the supporters above. And here are samples of the sort of artwork I produce.